Light fascinates me as an artist and I have been incorporating concealed LED lighting to illuminate what I call my Story Boxes. Several artists and photographers pointed me in the direction of Phosphorescent light and resins. This has opened up many new realms to explore in my own spiritual journey and theme of Light. 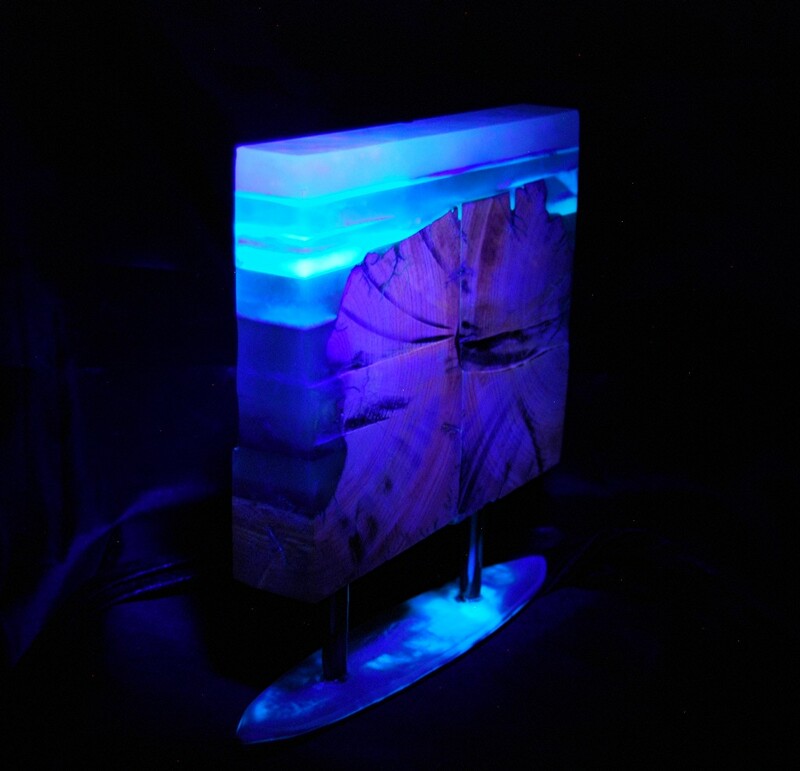 These pieces are a continuation of a series of mixed media works using Wood-Resin-Steel and Light. Combining phosphorescent powders mixed in my resin casts as a source of light. Entitled “Light from Within” continues my reflections of time spent on a#spiritual journey to #Taos and #Santa Fe this summer. 9″ x 9″ x 1 1/4″. The steel stands also have cast resins with pearlescent powders and phosphorescent powders. The steel stands have a classic surfboard design that has been part of me and many designs since the 60’s. See more on www.stor-ybox.com including show dates for the fall. Where did you get all of this stuff? Looks really cool!